Our most recent sermons, grouped by series. Here are our most recent sermon series. If you would like the sermons automatically delivered to you each week, click here. Living a spiritual life is a real option for you, yes you, not just super-Christians. You can talk to God. You can hear from God. Here’s what Jesus says about it. In the midst of whatever chaos you encounter today, remember that you have access to the presence of Jesus. For all that seems necessary today, only one thing truly is—being with Jesus. Be filled with His Spirit. Let Him sustain you. Despite what you may have heard, the Kingdom of God is here. It’s among us. It’s present. And now our job is to help make it so through our lives. Ever want a better prayer life than you have? Want to know more intimacy with God? Here’s a place to start. Why Do You Call Me 'Lord, Lord'? 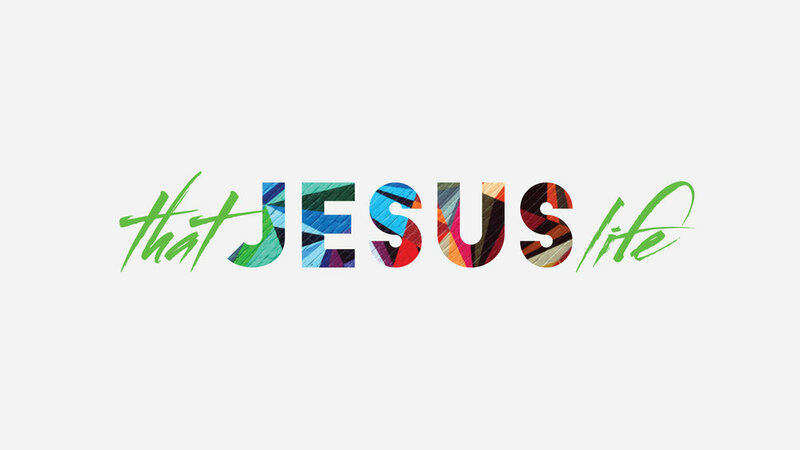 Jesus shows us how to live and how to thrive. His teaching is our path to joy and peace and all we long for. It might look very different from how we imagined ‘Christian life’ would look. Want more of Jesus? Let’s go to where He is—with the sick, the poor, the hurting, the helpless, and the unholy. He’s called us to join Him in His work of redemption. Will we? When Jesus first calls us, it’s both a call to forgiveness and also a call to purpose. He has a purpose in mind for our lives. And if we’ll heed His purpose, we just might see His power exercised within us in ways we’ve never even dared to dream. This week we went for it all—Genesis to Revelation, the whole story of the Bible, or at least as much as we could fit into a single sermon. If we’re clear that slavery is bad, shouldn’t the Bible be at least as clear? From the Old Testament to the New, the Bible unrelentingly pushes us towards love. It commands us to love. It expects us to love. And it paints a picture of a future for this world that is filled with love, from God to people, from people to God, and from all people to each other. God’s self-disclosure is both beautiful and revolutionary. Knowing Him will remake us and allow us to participate in His remaking of the world around us. He’s that different from anyone else we’ve ever encountered. And He’s that good. When we don’t really believe in God’s goodness and grace, we sometimes try to earn His favor with rash resolutions. But rash resolutions won’t do us any good. They stem from a misunderstanding of God, will only increase our guilt before Him, and very well may harm the people closest to us. God’s rescue of the Jews in the Persian Empire was a grand reversal—but it’s what He’s in the habit of doing. He helps the helpless, the powerless, the downtrodden, the broken hearted, refugees and wanderers, widows and the poor and orphans and the spiritually impoverished. Now He’s inviting us to join Him. Will we? The difference between Jesus and the religious experts of His day was more practical than we might imagine—He loved people they refused to. Will we? Wherever you’ve been, it’s time to come home to God. Come home. It’s everything you’ve ever really wanted. Come home. It’s all of your longing. Come home. It’s fire-in-your-soul fantastic. Come home. Bring everyone you can with you. When ‘evil’ people flocked to Jesus, the religious leaders around Him scoffed. How could He possibly welcome them and honor them like He was doing? Didn’t He know better? In response, Jesus told one of His greatest stories about the compassion of a father for his two lost sons. The night before the cross was one of intense emotional turmoil for Jesus. So He shared His pain with His closest friends and also with God His Father. This means that when we’re in pain, we can do the same. Am I important? Am I more important than you? These are life-defining, never-ending negotiations we have with each other in every realm in life. What if we listened to Jesus and stop asking this all together? What if, instead of grasping for importance, we ceded the fight and devoted our lives to making everyone around us feel important? On the last night of His life, Jesus wanted to praise the Father, by the power of the Spirit, for the sake of His own heart. And He wanted to do it with His friends. We have a God who sings?! Jesus shows us that love is more than a feeling and more than an idea. If we want to love like Jesus, we can start by telling people our affection for them and our commitment to serve their needs before our own—this is exactly what Jesus told His friends at the last supper. Jesus wants us to feast. Most of all, Jesus wants us to feast on Him. Here’s what He means. When Jesus encounters us, He says: "I must enter your house and world and life. Today." The grace of Jesus is no mere idea. The grace of Jesus comes as He makes Himself at home with us. So we share that grace with others by inviting them into our houses, worlds, and everyday lives. The kingdom of Jesus is a table where all are welcome. Come and eat. Come and drink. Come and fill your soul, for real. Because the Holy Spirit is with us, we can treat Jesus like a real person and allow Him to treat us like real people too. The Spirit of Jesus speaks these words to us today just as simply and truly as Jesus spoke them in the first place. Experiencing spiritual life doesn’t have to be a mystery. Bringing our complaints to God and trusting in Him are not mutually exclusive. The most important thing you could possibly do today is realize that God loves you. God, the ultimate reality behind all realities, is for you because of Jesus and will never leave of forsake you. Here's how you can know. Sometimes we think, with consciences weighed down by the guilt and shame of our failure in this, that if we really trusted God we'd have far fewer tears. But what if it's the opposite? As we begin to love God's light more and more, we find ourself combatting the darkness around us more and more. And yet, even so, there are parts of us that love the darkness, revel in the darkness, and cast us into the darkness even in the moments we claim to prefer the light. What then? The result of faith in Jesus is that we become fused with Him, permanently and inextricably united to Him. What happens to Him happens to us, including the whole of salvation. We also get His power, duty, and joy. We’re friends with the God who's building a kingdom and declaring war on death itself—let's live like it. The cross of Christ was a real, verifiable historical event—and it's that event that conclusively proves God's forgiveness and reconciliation. So whether you're having a good day or bad day, a good life or bad life, you can have confidence that God is on your side in Jesus. And that's something to revel in. All of us need hope. So what do we do when we can't seem to find it? What do we do in the middle of suffering? We can find hope, even then, by drawing near to our good Father. Are you struggling this week? It's ok. Struggle with God. He can take it. His love will engage you. “I want you to meet the God who sees me, hears me, listens to me, and cares about me." Yes, God loves the outsider, the downcast, the outcast, and the loser. He loves the single mom, the immigrant, the unchosen, and the pagan. He sees us, hears us, and listens to us. He loves us. There is no greater truth in the world than that of God's love. He is love. And He loves us. What a world this would be if we really believed it. We've been invited to live life with God and share it with others. This means that every moment is spiritual, even when we're with others, whether they know Jesus yet or not. Our spiritual lives are meant to be shared with others. Doing so will make our lives meaningful, full, and joyous. Here are some thoughts on how to start. Through prayer we realize that we have access to the Living God. He's close, and He's kind. He's with us, forever and always, good or bad, even now. An awareness of that will change the way we think of all our moments, from fantastic to terrible to mundane. Whatever happens—the Spirit of Jesus is with us. Jesus gave His prayer life priority. So it gave Him radiance, power, and love. Maybe we should pray too? Here's how. The resurrection of Jesus has profound cosmological implications, but it should also change our everyday lives—because the risen Jesus is with us, always and forever. What does God do to His enemies? Jonah knew. Jesus knew. We should too. He loves them, over and over and over, even at great cost to Himself. Our God is thoroughly, powerfully, and gloriously merciful. Even when we don't deserve it, He's full of mercy. Even when we're only calling out to Him because we're out of options, He's full of mercy. Even when others might question our sincerity, He's full of mercy. It's who He is. Sometimes we know what God wants, and we run the other way, as far as we possibly can, as if we might actually outrun Him. But even in those moments, God chases after us. The whole world is under His control, giving us every opportunity to see His goodness, nearness, and power all around. We live in a country where profoundly different points of view on race, immigration, economics, and other issues have resulted in deep division and discord. Yet the church is and always has been one. So what does it look like for us to be united today? Sometimes the church is a life-saver. Literally. Do you want to join Redemption? When we follow Jesus' lead in our everyday lives, listening to Him and obeying Him at work, at school, at home, and everywhere else, we have countless opportunities to proclaim His goodness. He's real. He's good. He's at work, even now—and we can join His work by testifying to what we already see every day. After meeting Jesus, Saul ended up with a new life, new sight, a new family, and new breath. He became a son of God and a brother of Jesus. And he got baptized—he was all in. Our faith isn't in lifeless principles. Our faith is in a living God, who's been seen on earth, who lived, who died, who resurrected, and who's still available to us today. Talk to Him. Relate to Him. Share with Him. Enjoy Him. Have fellowship with Him! When we begin to see God as our Good Father, we realize we can run to Him, even when we're at our worst. He's already seen our worst, and yet He's really going to forgive us. Won't you turn to Him right now? Because God is our Father, we are now brothers and sisters. This profound truth transformed the world of the early church—and it will ours too if we'll let it. When God made Himself our Father, He changed our name, changed our nature, and changed what we should do with our lives. This is fantastic news—we are truly loved! Life can give us many reasons to turn back from Jesus, whether it's because we don't think we need Him or don't think we can trust Him. So let's start our 2018 with a resolution to continue hoping in Him. This hope will anchor our souls and will allow us to press on in enthusiastic pursuit of being with Him. Our King really is going to destroy death once and for all, and everything in creation will be set right. The best part is that the battle has already started, and we can already see little cracks in the darkness as the light starts breaking through. God's plan to fix the world through Jesus will actually and fully fix the world. He's bringing shalom, restoring life, harmony, wholeness, and joy to the entire universe. He's making things the way they ought to be, and He's already started. It’s all going to be ok. God is coming. It’s safe to hope. God is coming. Dry your tears. God is coming. Lift your voice, your heart, and your hands. God is coming! God's steadfast love is better than life. It's experientially preferable. It's truly better than anything else we could ever encounter, up to and including life itself. And beholding this greatness of God is the key to changing ourselves into the kinds of people we want to and ought to be. God is our great re-creator. Though His good creation seems hopelessly broken—is hopelessly broken—the purpose of Jesus is to redeem, restore, and re-create. There's still hope for us all. By becoming human, Jesus has reconnected humanity with divinity. He's given us access to every spiritual blessing and all power. He's freed us from our twisted desires and healed our rotting, dying bodies. So now our eternity will be one of glory, holiness, and unending life. If the word of God can really revive our souls, direct our lives, and set our hearts on fire, maybe it's time to start a new habit: every day, for the rest of our lives, let's meet with God through His word. At its heart, the Protestant Reformation was about recovering the glorious truth that salvation is by grace alone, through faith alone, and in Christ alone. May we all know, in the deepest parts of our beings, how great God's love is for us. Hallelujah! When we as a church fight to protect our God-given unity, we can accomplish great things. When we refuse to fight each other, refuse to divide over unimportant things, and cling to the truth that makes us alive, we can change the world. If you're spinning in circles of hopelessness, not making any progress toward our church-wide goal of becoming more hopeful this year, you are not alone. So what gives? The way Jesus spreads His message of hope is through His people. In Luke 10, He empowers 72 followers to be just like Him, with spiritual authority, words directly from God, and a commission. 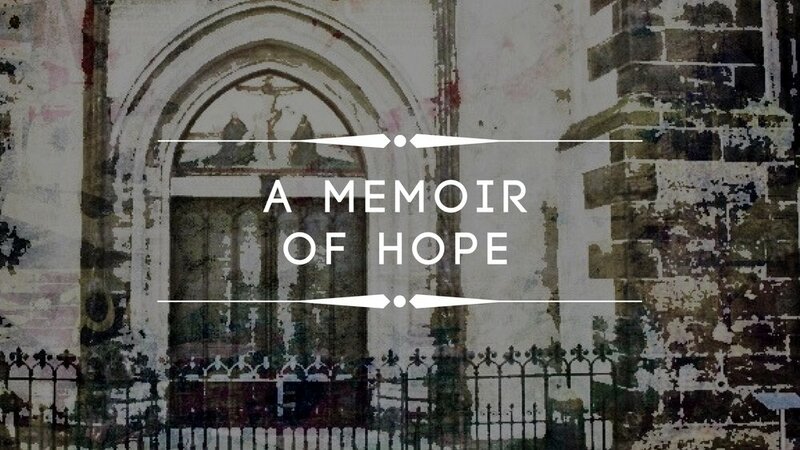 If our goal is to see His gospel of hope spread around us today, all we have to do is embody hope where He's sent us. The arrival of the kingdom of Jesus is good news for outsiders, outcasts, weirdos, and the truly hopeless. It's good news for the poor, people who cry themselves to sleep, and those who don't have enough to eat. It’s for widows and the infertile and gender and sexual minorities. Jesus is hope for the hopeless, for real. Is there anything we can do when we find ourselves in need of substantive change? What if we find ourselves at the point of saying, "I need a whole new me."? That's the depth of change Jesus shows us to expect from Him in this week's text, Luke 8:26-39. This year is going to be a year of hope at Redemption Church. That's because we're in such desperate need of hope. But it's also because Jesus is all about hope. If we are going to spend time with Jesus, we're inevitably going to come away with hope. He is hope. He brings hope. He's the cause and the source of hope. So, as Christians, let's hope. Hurricane Harvey caused massive destruction in Houston this week. Some of that destruction was physical and obvious. But some of that destruction was spiritual and emotional. As a church, we have organized significant efforts so far to help our neighbors start to put their homes back in order. The great exchange is that Jesus became sin so that we might become God's righteousness. God has reconciled us to Himself, so that we're no longer alienated from Him and no longer at odds with Him. In Jesus, God is turning us into His righteousness, His justice, His means of right-side-upping the world around us. Now that we've been reconciled to Him, our job is to be reconcilers on behalf of everyone around us. When so much of the world seems to co-opt the message of Jesus for their own mutually exclusive purposes, some of which are blatantly violent and evil, how do we know what His message really is? One way is to pay close attention to what the New Testament, written by those who were closest to Jesus, actually says. When you realize you're not yet the person you want to be, don't give up hope. Coming into the presence of God, by beholding His glory, is what the Holy Spirit can use to transform you. And transform us He will, by glory, into glory, until we're like Jesus. Even when life doesn't go as planned, there's a way to end up with an overwhelming sense of purpose and thankfulness. That's what Paul discovered as his life and being became so merged with Christ's that he became the aroma of Christ everywhere he went. Our God is the Father of mercies and the God of all comfort. His great desire is for you to see His grace, His warmth, His affection for you. Regardless of who you are or what your story is, He can be your merciful Father, even in this moment. Whatever you're going through, He can directly comfort you right now. Come to Him. Have you ever wondered why we can have such different experiences with food depending on how it’s enjoyed? We can scarf down a meal in our car to feed our bodies, or we can enjoy a long meal with good friends and feel our hearts and souls fed as well. God's chosen people got to live in His presence, build Him a house, and walk in His provision. But instead of living His way, they repeatedly turned aside, over and over and over, for almost a thousand years--so He eventually gave them over to complete separation from Him. He left the temple; they left His land; and everything became as shattered on the outside as it already had been on the inside. This is the exile. Once upon a time, God's people built Him a magnificent temple. Then they asked Him to be present in it, hearing the prayers and looking upon the sacrifices that they'd make in that place. And God agreed. His presence came in brilliant glory, and when His fire and smoke filled the new temple, the people fell on their faces in awe. God made all of us to know him and join in doing his work in the world. If we lose our faith or our works, we quickly go off the rails. The book of Judges shows a clear and frightening picture of just how bad this cycle can get, and serves as a warning to fight for loving God and loving people every day. What grace! Our God holds up the story of a heathen prostitute, from a book about ethnic cleansing, as an example for us all today—because regardless of who you are, you are worthy of love. Jesus is ready meet with you by faith. Let's go outside whatever fence is keeping us from Him and draw near to Him to find mercy and grace. He is ready for you. Jesus is the new temple. If we don't know Him - if we don't come into God's presence in and through Him - then everything else we do is a waste of time. So we pray. We pray urgently like we need Him. We pray like the people all around us need Him. And we pray with the expectancy that He really does heal and transform. The gospel we preach, believe, and stake our lives on must imply racial reconciliation—if it didn't, it would be no gospel at all. God's grand plan to fix the world wouldn't really fix the world if it doesn't address justice and race. Thus, our gospel is not God's gospel if our gospel is indifferent to these things. The "Son of Man" was Jesus' favorite way to refer to Himself. Why was that? Because the prophet Daniel had a vision of a Son of Man coming on the clouds to the presence of God and receiving authority over the whole world, an authority that would last forever and ever. The prophet Ezekiel spoke of a day when there would be no more violence. Jesus claimed to be bringing this rescue, even at the greatest cost to Himself. The prophet Jeremiah announced a new covenant that God would make with His people, promising to transform them from the inside out. 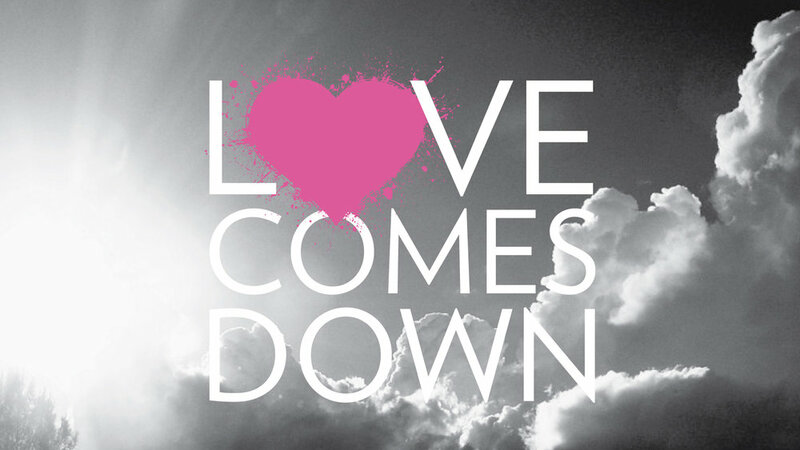 This New Covenant that Jesus inaugurated is what empowers real, beautiful love. The prophet Isaiah, who lived 700 years or so before Jesus, somehow saw Jesus' glory anyway. But Isaiah knew that when we saw the same glory, many of us wouldn't recognize it as glory. Lots of things are going great around here. Let's not lose sight of the reason we're here. The Jewish expectation of the Messiah was one of a conquering ruler who would "fill the streets with corpses." So why did Jesus claim these dark songs written a thousand years before He lived for Himself? We're taking Jesus on His own terms that the Old Testament is all about Him. Listen with us about how Moses was a pointer to Jesus - the true Prophet whose very words are life. We want to take Jesus on His own terms that the Old Testament is all about Him. See with us how the sacrifices of the Old Testament were always and only pointers to Jesus and His great love. Jesus claims that the Old Testament is really about Him. See how as we return 1500 years before Jesus to the time Israel left Egypt and crossed the Red Sea. If we want to know Jesus, where do we start? Maybe we should start at the beginning of the Old Testament, since Jesus said it was all about Him. Our main goal as Christians is to know Jesus. But how do we do that? Maybe we should start by taking Jesus on His own terms. After being crucified and resurrected, Jesus continued teaching His followers about His coming empire. He told them to wait for it, wait for it. And then it happened. The Holy Spirit came. God's power was made available to Jesus' followers just like it had been to Jesus. And all of this was because Jesus has been enthroned at God's right hand. He will come again in glory. Until then, we wait, and we testify to the reality of His empire. Jesus compares His empire to a field with weeds in it, a tiny seed, and leaven that's being mixed with an industrial sized helping of flour. These statements may sound random to us at first, yet there's meaning hidden in them that could change our lives and our world. Let's listen up. In Jesus' empire the patterns and ethics of our world are overturned, freeing women to be what God intended in the first place. In fact, women are adopted by God the Father, becoming siblings of Jesus and co-rulers with Him over all of creation for the rest of time. Jesus is the great liberator of women, and at Redemption our goal is to participate in that. God’s Kingdom is not just a fiercer version of worldly empires. It's an empire of grace, as different from the empires of this world as love is from hate and light is from darkness. It's mercy and love. It's a rejection of merciless power, a rejection of the authority that comes by brandishing fear. Jesus came to announce the arrival of the empire of heaven. The law of this empire is the law of grace, a law that reflects both the will and character of our Most High God. This empire is coming and will never ever end. So as other-worldly and counter-cultural as it may seem, we can begin to live as citizens of this empire even now. Seek His empire, even when it's at odds with the norms and wisdom of the world around you. God says He's making all things new. This is how He always works. It's what He started through the resurrection of Jesus, and it's what we look forward to Him completing, for us and all of creation around us. On the day of his resurrection, Jesus breathed on his followers, giving them the Holy Spirit and commissioning them as his agents of forgiveness in the world. In doing so, he repeated God's initial act of breathing life into a lump of dust to make the first humans—yes, in doing so, Jesus kicked off the new creation. Our Creator is now re-creating the entirety of creation. He's brought forgiveness, and now He's bringing new life, restoring us and forming us into the highest pinnacle of his intention for humanity. Easter is good news indeed! Ruth is such a great real life example of relentless grace that she can help us understand Jesus better. Jesus Himself is the embodiment of God's relentless grace in the world. Sometimes we forget or miss or complicate that His grace is ready, will spread contagiously, and will eventually restore the entire world. Ruth reminds us, corrects us, and encourages us. A young refugee woman brought redemption to her grieving, widowed, son-less mother in law. And she did it by relentlessly embodying the grace that's at the center of who God is. Ruth, the Moabite, relentlessly loved Naomi. She refused to let her go. And then she challenged Boaz to step up into the same relentless grace, twice. Her assertiveness made Boaz a better man. And it turned Naomi's whole life around. Maybe it shouldn't surprise us we have a book of the Bible named after her. How could a young, widowed, destitute foreigner who found herself in a strange man's bed in the middle of the night be the Bible's example to us of God's relentless grace? That's what the Book of Ruth is all about. Ruth was an outsider's outsider. Yet she was strong, smart, capable, and utterly courageous. Her insistence and assertiveness brought redemption to her family and eventually the world. So many of us think and feel like we're anything but necessary. But what if that's based on a lie? What if God has empowered us by His Spirit to play an indispensable role in His church? This is, in fact, what we see in the New Testament. We see that every member of the body of Christ is vital, because each and every one of us has a God-given gift that the body needs. The church is God's new humanity, His society of the future that's broken into the present by the decisive work of the Holy Spirit. And the church is where, even in the midst of all our brokenness and longing, we can already enjoy mutual affection and love, where we can live in the unity and harmony Christ came to give us. So let's do it. The kind of church God is building includes people from every family on earth—every tribe, every nation, every people group, every language, every race, every socioeconomic status, every class, every political persuasion, and everything else. Yet in preaching a gospel that could include all these kinds of people the early church faced enormous opposition and even physical violence. The church is so valuable to Jesus that He gave Himself up for it. He feeds it. He cares for it. He's transforming it into His radiant bride by removing all impurities and cleaning her up. And He even designed marriage from the beginning to reflect the relationship He'd eventually have with it. We're just like the Pharisees and scribes, who are desperate to feel some control over their lives. They got lost in the HOW God is working, and forgot the WHY. We will do the same unless we fight to stay focused on Jesus and the kingdom he's bringing here. The Bible is not a set of rules or a list of heroes for us to emulate. It is most of all a story--the truest of all stories. It's the story of God coming to dwell in the midst of His people. Praise God that He has made good on His promises in Jesus. We can have profound hope and expectation for this world because God is here with us. The full divinity of Jesus empowers miraculous transformation for us. Because of who Jesus is, what He has done is more than symbolic--it's truly powerful. He has overcome our alienation from God and is now filling us with all the fullness of God, including His presence, His power, and His transformation. Humanity has an enormous responsibility, to fill the earth with justice and to seek widespread flourishing for all humans and all creatures around us. We've failed in this responsibility, and spectacularly so. Yet, because Jesus became human there is hope. He has done, as a human, what the rest of humanity was intended to do. And in His success, He's now empowering us to follow in His steps, doing just like He has done. All Christians believe Jesus was a fully divine being who became human--that's what Christmas is all about. But how important is this? Is Christmas as important as Easter? The earliest followers of Jesus seemed to think this was the central fact in the entire history of the world. This week we turned to Jesus' best friend John to help tell us why. If the gospel of Jesus Christ doesn't offer us hope for our sexuality, then it's no good news at all. Jesus offers us freedom from our enslaving desires for physical pleasure. He does so by offering us pleasures beyond our wildest dreams. Jesus offers a radical freedom from our fear and our selfishness--but for us to embrace it means seeking His kingdom and not our own. It means viewing all things, whether our pedigrees, our bank accounts, or our souls, as on loan from God. If we're going to survive the next 40+ years with our confidence in God's goodness towards us in tact, we need our church to be a community of faith. We need a place that's full of mercy for doubters, a place where we can rely on each other when we're wavering in the faith that's so vital for us. We want it. We gotta have it. We claim to have it. But what is it? Faith is our confidence in God's good favor towards us because of Jesus. It's what enables us to draw near and reap the rewards of being in God's presence. We were made to be like God. God works, so we work. But God also rests--so we rest. Unfortunately, resting isn't quite so simple anymore because even our rest isn't really rest. Our work is sometimes so long that we don't have time to rest, or it's so intense that no amount of rest seems to suffice. And then when we do rest, sometimes it doesn't feel very restful. So what can we do? We may be as helpless as could be, as guilty as could be, and as complicit with worldwide evil schemes as could be, but God is filthy rich when it comes to grace and mercy. So He's in the process of recreating us in the image of His Son, recreating us so that we can once again joyfully partner with Him in bringing order out of chaos. 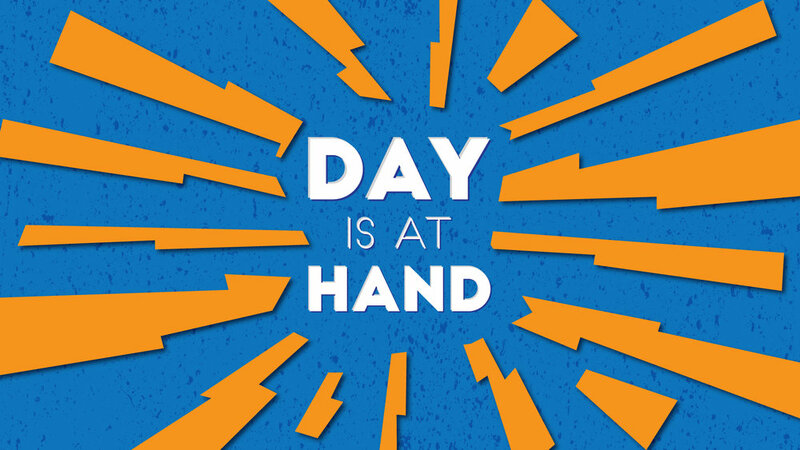 Wherever you are in your work life this week, this gospel message can help you. How should we think about our work lives in light of the gospel of Jesus? Step one was to realize that we're made in the image of a God who joyfully works to bring order out of chaos. This week, for step two, we were challenged to stop saying "Not my problem!" Racial reconciliation is a key component of God's grand plan to fix the world. So this week, as a first step towards enabling that reconciliation, we listened. We listened to six people share about their personal experiences with race and injustice. Our willingness to suffer is in direct proportion to our victory over sin because resisting sin is likely going to hurt. It hurts as we deny ourselves the things we want, and it may hurt further if the people around us decide our self-denial is worth ridiculing. The ethic of God's kingdom is an ethic of peace, self-sacrifice, and love. It's the ethic of the cross. And it's the ethic that informs our marriages, even when they're bad ones, the way we share hope with others, and everything else we do. We are healed by Jesus' wounds. So if He's our hero, not just the one who saves us but also our paradigm of perfection, we've committed ourselves to living like He did, serving others even when they wound us, and using our wounds as a source of healing for them. When we've tasted Jesus' kindness, we begin to crave it. And as we crave it, we begin to grow up, being built together with other Christians as a house for God's own Spirit. That's because together we are God's prized possession. We are God's wanderers. When they came across a naked man beaten half to death on the side of the road, two religious leaders didn't stop. But a racial outcast did. Why? Because he had compassion, which along with paying attention, is a key component of true love. It's one thing to know who a celebrity is—"Isn't JJ Watt amazing?". It's another to have met the celebrity—"It's JJ! I know him!" And it's yet another for the celebrity to know us—"Hey, Zack! It's great to see you again!" That's what is on offer from God. He wants to know us. He wants to recognize us from across the room. He's as excited about us as we've ever been about anyone. And I'm not sure there's any better news. Just like Adam, Jesus was first of a kind—what happened to Him will flow to all of humanity after Him, allowing us to conquer the sin, corruption, and death that rule over us all. All Christians agree that there's only one God. Would it make any difference if we were wrong? Jesus seems to think so. Could fighting sin be more than just saying no to certain things? What if having a heart on fire for Jesus goes hand in hand with having a heart on fire for people? Last week we challenged ourselves to be on fire for Jesus. But what does that look like? How would we really go about doing that? This week we took one approach to stirring our affections. Passion and zeal where our hearts are on fire for Jesus may sound like they're reserved for super Christians, but what if they're expected to be normal for all of us? What would it look like for you to love Jesus with all your heart, with all your soul, with all your mind, with all your everything? When Jesus, who is the radiance of the glory of God, became human, He prayed with loud cries and tears to be saved from death. And His prayer was answered. What if yours could be too? Resurrection for all! The past few sermons have emphasized the power of prayer in Jesus' name. But what about the fact that there are all sorts of things we pray for that don't come true? What do we say to that? Does God want us to suffer? Jesus expected His followers to be able to do greater things than He did—just because He was going away to His Father. And in the same breath, He promises that if we ask anything in His name we'll receive it. Do you believe believe all that? We all want to be free. But what if true freedom is found only in giving up our rights for the sake of others? What if the truly free life is actually found in being everyone's slave? How can we possibly see Jesus' call to self-sacrificial love like this? Jesus came to give us life. But it's going to cost us our life to get the one He's offering. He wants you to follow Him. So to start, grab that cross! One of the most convincing reasons to devote your life to Jesus is that His kingdom is the only place you'll find true, deep, lasting change. Whatever kind of change you need to make in life, the power to do it is found in Christ. Jesus is not a killjoy. He's not calling us to follow Him out of a begrudging sense of duty. No, He's offering us the true, lasting joy that we all long for. God is the precondition for our living, our moving, and our very existence. So the first step in recovering our identity and purpose, whenever we may have lost it, is to be reconnected to Him. He alone is an endless well of living water, and He alone can quench our deepest thirst. Jesus became human like us for a reason - He was on a mission. That mission continues to this day. And Jesus is calling us to participate with Him in this world-wide mission. Will we follow Him? When the entire cosmos is in open rebellion against shalom, what can we do? Thankfully, God has done for us what we couldn't do for ourselves. He's made shalom through Jesus. In our desperation to recover shalom, what if all we're finding are cheap substitutes for the real thing? Maybe we should be going to the Source of shalom Himself. Shalom is so great that maybe, just maybe, we should be sharing it with the people around us. Everyone everywhere has always seen that the world's not like it should be. In other words, everyone everywhere has always seen that the world lacks God's peace, His shalom. But when Jesus was born, the angels announced that shalom had arrived. What on earth? There are some elements in life where you just have to commit. You've got to be all in. This is how worship works. We truly worship God when we devote our entire selves to Him - bank account and all. One day grace is going to rule with more authority any totalitarian dictator ever dreamed. And because of baptism, we can start participating in that rule even now. Why do we take communion every Sunday? Maybe it's because God has a way of showing up at tables. Perhaps Jesus shows up in a special way when we take the meal that he initiated and told us to reenact. Have you ever wondered why churches sing so much? Besides, of course, our deep desire to be the next American Idol, maybe we sing when God's Spirit is at work. Jesus' most famous parable in Luke 15 is not just about one rebellious son. It's about two rebellious sons. 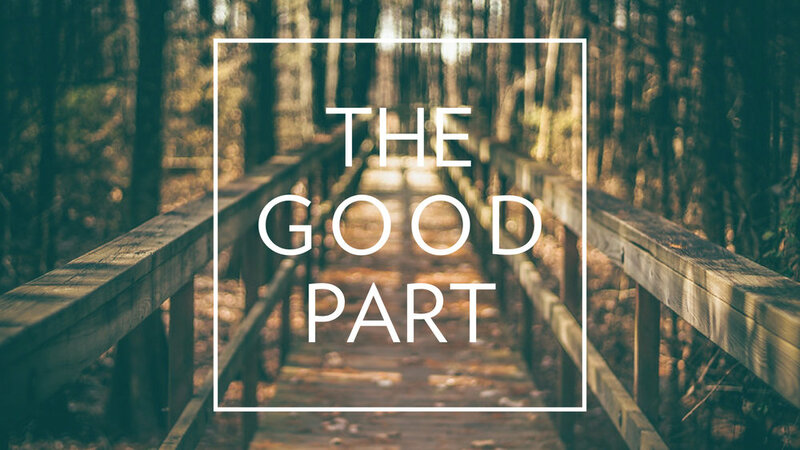 This week we looked at this story to hear Jesus' radical teaching about grace. Ever had doubts? Me too. Listen to what Jesus had to say to those of us who doubt. Jesus loved people, like actually loved them—wanted to spend time with them, ate with them, served them, got to know them. Maybe our evangelism should look like that. If you find vulnerability as scary as I find needles, loving like Jesus wants you to will be hard. So what do you do? We returned to John 13 this weekend to see. We don't have to hide anymore. When we're honest with each other, we experience a tangible love that has the power to transform us. It was Jesus' friendship and love that made John comfortable commanding us to confess. And it's that same kind of friendship that Jesus wanted to characterize His church. At the end of the sermon, I mentioned a song by Josh Garrels called "Bread and Wine." You can listen to it here. Being real with each other is central to life at Redemption, and it all starts with us being real with God. 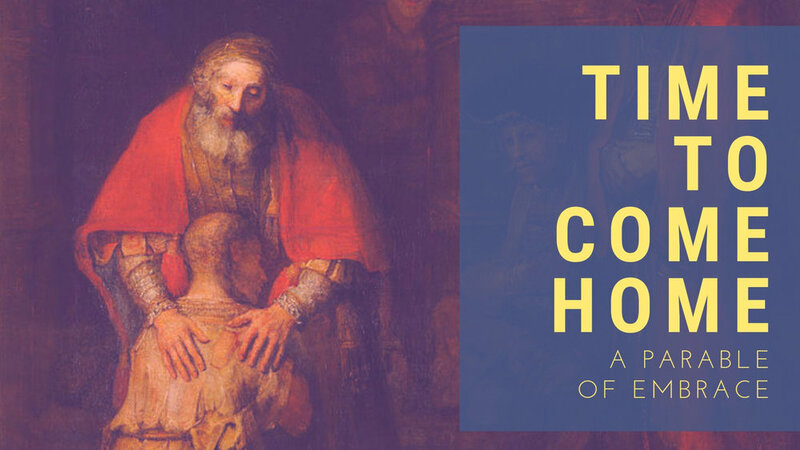 This week we dig into why confession, scary as it may seem, is actually a great thing.